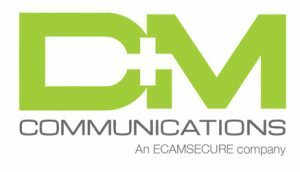 Being BICSI certified and having an RCDD (Registered Communications Distribution Designer) on staff means that D & M Communications, Inc. is much more than just your everyday communications subcontractor. It means that we have the education, the backing of BICSI, and nearly four decades of experience of managing and leading major projects just like yours. Whether your current needs are to just run a new drop to the corner office, or even if you’re ready to break ground on a multi-building campus. You need to know that your infrastructure is up to the absolute latest in emerging standards and technology. D&M is ready to lead your next project from “soup to nuts”, making sure that every member of the project team is on time and up to speed. Or D&M can fall in line and can follow your General Contractor’s lead.